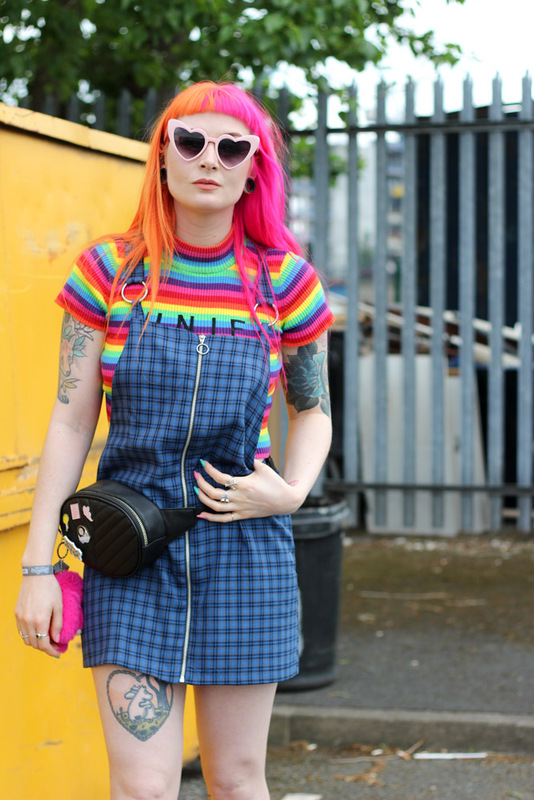 Ok so it's creeping up to my favourite time of the year for fashion, when the high street becomes fun and I feel totally in my element, that's right lads, festival season is upon us and I am hyped. I feel this year, the festival fashion has levelled up some may even say over 9000 [DBZ fans anyone no? ok no me neither.] 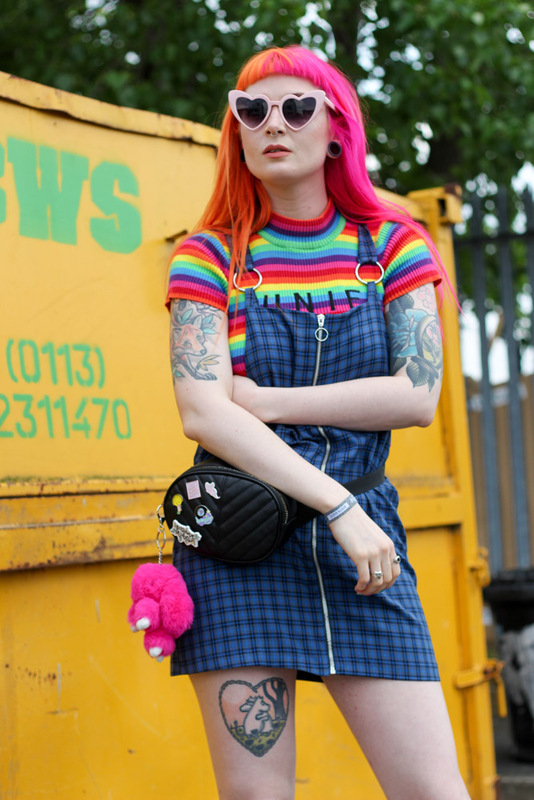 What I'm trying to say it, festival fashion has really really outdone itself this year, with the high street and brands fully emerging themselves in fun festival fashion. HOWEVER, one thing I'm not about its all the searching for exactly what I want. Not sure if it's done to me becoming old AF, but I CBA to trawl sites and stores like I once used to do. 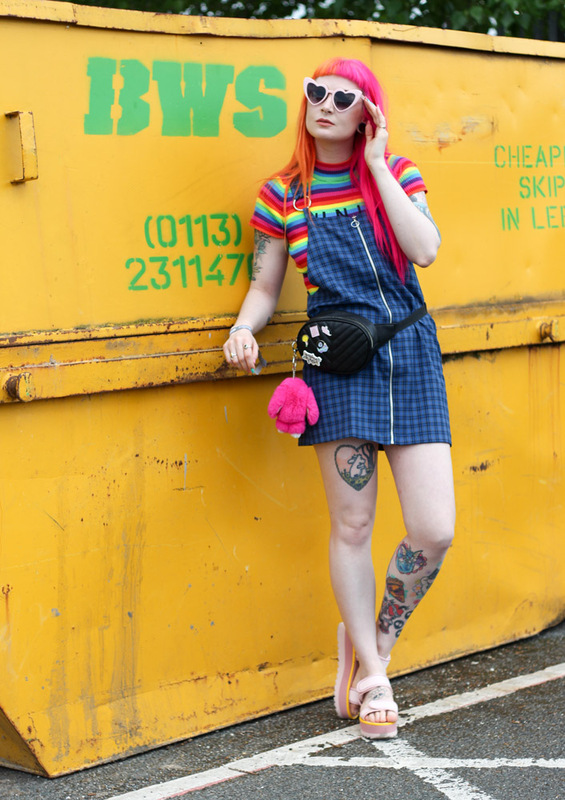 I have an acquired taste when it comes to fashion and it's great to every now and again find a gem in the high street that's uniquely me but I preferably would like it in one place for me to browse at leisure. Let me introduce you to Attitude Clothing. This place has everything to fulfil my Kawaii wardrobe dreams all in one place. There's a fricking huge range to look through so much so, that there something for every type of alternative guy and gal. With my taste being a bit more colourful and out there you can bet I was in my element and found ALL of the good things. That's the thing I find the most difficult when I shop, with having a penchant for Kawaii fashion, I tend to only find the odd thing here and there, whereas, on attitude, my Kawaii craving was very much satisfied. So with festival fashion being the very forefront of my mind, I picked out some bits for me to style up for the perfect festival OOTD. 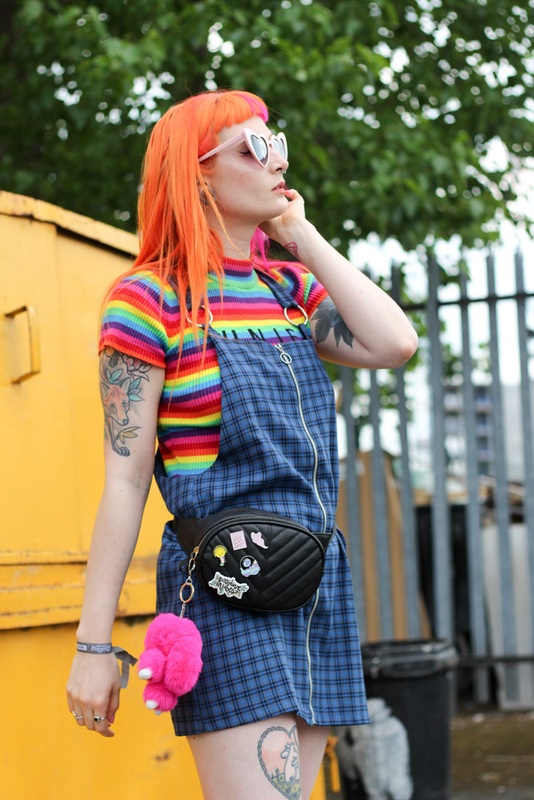 I decided on this super wicked ring detailed pinafore dress from The Ragged Priest at Attitude clothing complete with front zip detailing, As festival fashion ain't about playing it safe, I went full-colour clash and pattern overload and teamed it my forever fave rainbow knit top from UNIF. Before putting the outfit on I was a bit dubious that it would actually ~work~ but once on I was 10000% here for the look. 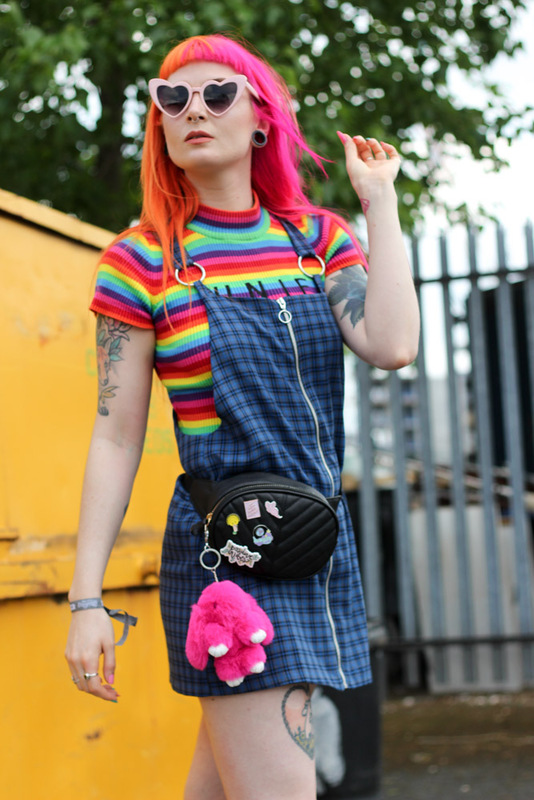 To finish it off I, of course, went for a bumbag, I mean, are you even going to a festival if you don't wear a bumbag?! I decided the black number by itself was uber boring so I got my customise on and decorated it with various pin badges, I managed to lose a few at Slam Dunk last week and I'm still morning the loss of them NGL. OH, and I added a huge pink fluffy bunny to the zip cos kawaii needs. Footwear was my new summer shoe faves from TWOOBS with contrasting yellow and pink detailing - an actual dream, and the heart sunglasses every gal has. Such an awesome look, you always look amazing. I’m totally obsessed with your style. 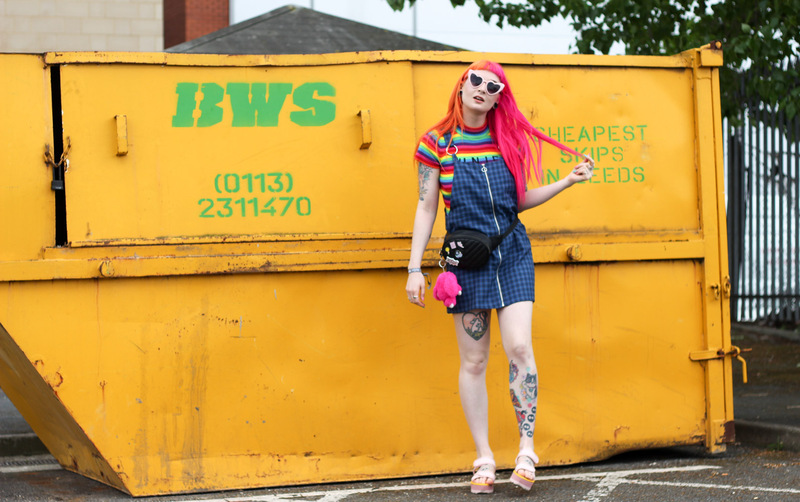 Only you could totally rock a shoot with a skip(?) in the background! Absolutely love your picks here Jess. I'm excited for festival season as well! Love this look. 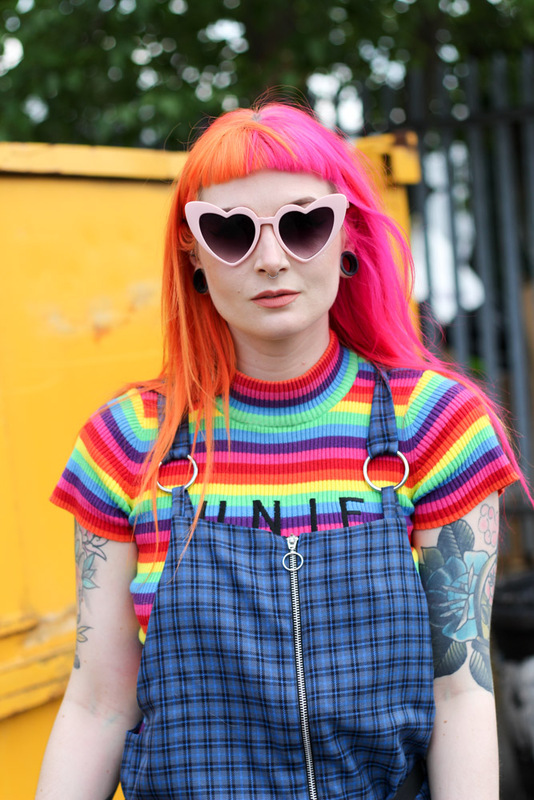 Unif has the coolest clothes. And those sunglasses are adorable.